Yuanzhen Review 2019: Is Yuanzhen a Good Hosting? Yuanzhen is a full service Taiwanese hosting provider that has been in business since 2003. Like other local hosts, expect to pay a premium, the plans run on SSD, and you can choose from multiple, international server locations. Yuanzhen has been providing Taiwanese hosting since 2003 with a focus on affordability and excellent customer service. The company uses green energy and N + 1 equipment backup to power the hosting plans. The main website is available in Chinese, with the support pages available in English through a translation plugin. There are a huge range of shared hosting plans, Linux SSD multi-domain virtual host, Python web host, Linux U.S. SSD, and Singapore SSD web hosting, to name a few. The plans come with the same features, varying levels of resources, and different server locations. Yuanzhen has a global network of servers located in various data centers around the world: Los Angeles, Singapore, Taiwan, Tokyo, Hong Kong, Melbourne, and Pairs. You can pick the plan based on which location you would like your data hosted in. All plans run on full SSD configuration, rather than the slower HDD, with built-in cloud acceleration and firewall protection, and CloudLinux, which is excellent for isolation of data. 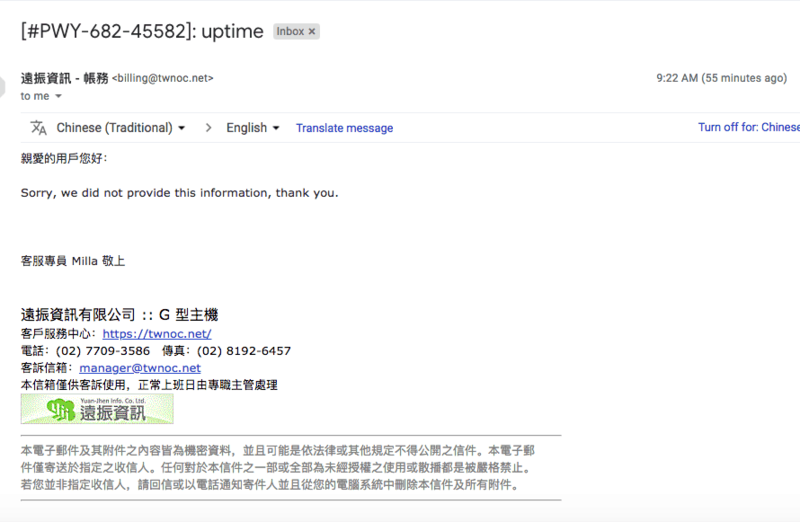 Most of the data centers are ISO 27001 certified, however, there isn’t an uptime guarantee (I confirmed with live chat). The plans are IPv6 ready. All plans come with support for PHP 5.3 to 7.2, multiple MySQL databases, and phpMyAdmin access for expert users. For beginners, there’s a premium offering of Installatron one-click installer for hundreds of programs, however, notably, there’s no website building tool. There is a dedicated Python and SSH plan, which does not include support for PHP or the Installatron, though, if you need support for Ruby on Rails, Perl, Java, CGI, and so on, this is not the company for you. Interestingly, one plan, the Linux SSD Royal Semi-Private comes with free DDoS cleaning service once per quarter. The prices, in New Taiwan Dollars, are pretty expensive when compared to overseas competitors, however, they’re not much higher than local Taiwanese companies. Be sure to take into account that domain names are always an added cost, but you do get a free Let’s Encrypt SSL certificate. Other add-ons include additional monthly traffic, exclusive independent IP addresses, data backup to a USB drive, URL change, and account restore. All plans come with a 30-day money-back guarantee and a free trial, however, it’s unclear for how many days. The plans can be bought in one month, and one, two, or three year terms, with the price dropping steeply for longer terms. There is 24-hour customer service by phone, fax, live chat, ticket, and email to the technical, accounting, and sales departments. There is a help desk section (frustratingly, there is no search function), which is available in American English via a plugin, although the translation isn’t great. I contacted them by live chat at 6:00 p.m. on a weekday, Taiwanese time. The live chat was online but the operator did not pick up, so I sent my message via email through the live chat window. The operator replied within a few minutes and answered my question in full, and in English. Yuanzhen is a full service hosting provider, proud that more than 60% of its employees are engineers, not untechnical customer service agents. The plans are quite expensive, however, there’s a choice of server location, SSD storage, and support for PHP version 7. 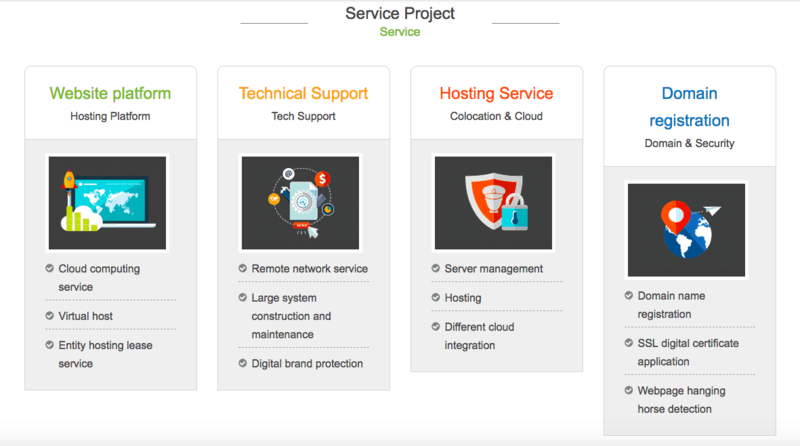 Wondering how Yuanzhen stacks up against other Web Hosting companies? Enter any other Web Hosting company and we will give you a side-by-side comparison.